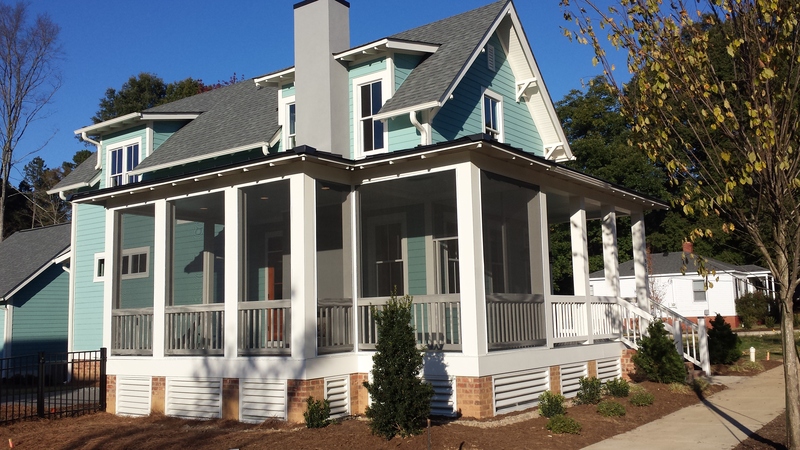 Moser Design Group’s ‘Sugarberry Cottage’ is the first home to be completed in our new pocket neighborhood on Delburg Street in the heart of downtown Davidson. Built for a local couple, this beautiful home is the first of 15 to be built in this great community that is rapidly transforming this part of Davidson. 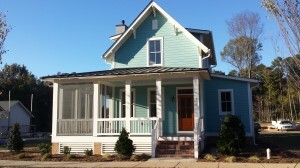 The Sugarberry Cottage is the most popular home plan on the Southern Living house plan site, and it is easy to see why. The house combines southern charm with the conveniences that the modern homeowner desires. The interior features a main level master suite, with two bedrooms, a full bath and an office area on the 2nd floor. A spacious kitchen, laundry, powder, dining and living room complete the first floor. The highlight of the home has to be the spacious wrap around porch, which is over 8 feet deep on the front and 12 feet deep at the side, creating an outdoor living space to be enjoyed by all. A fireplace on the screened section of the porch is sure to be a highlight. A nicely landscaped yard includes fencing and a spacious grilling patio, in addition to native plantings. There is even a garden space in the backyard. While the yard is small enough to quality as ‘low maintenance,’ there’s enough room to entertain guests and a green thumb. We made some modifications to this plan to meet the needs of our customer. These modifications include expanding the kitchen and laundry room, as well as enlarging a second floor dormer in order to create an office space. Other plans in this neighborhood are being developed by local architects. We can develop a plan specifically for your needs! The Sugarberry Cottage sets the stage for the homes to come in this exciting neighborhood: high quality, custom, and a great value. The home will be both Energy Star and LEED certified, resulting in comfort, low cost and efficiency for the homeowner. As of April 2016 all lots in our pocket neighborhood have been sold. 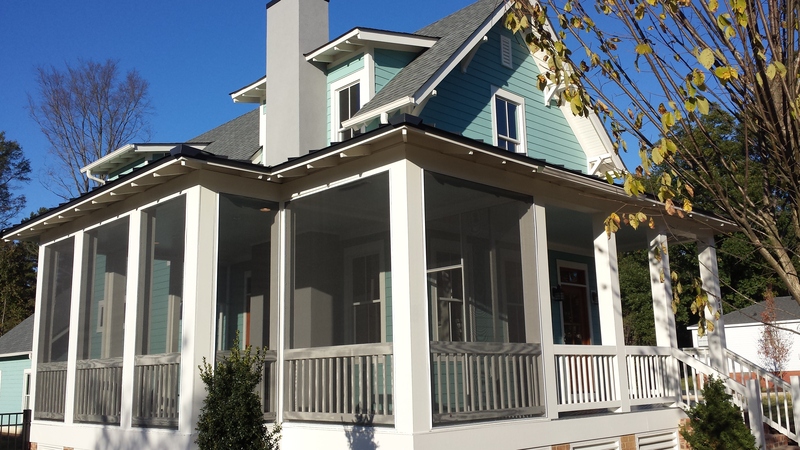 Contact us for additional opportunities to build a new home in the Davidson area, or to renovate your existing home. ← 625 James Alexander Way is LEED Certified!